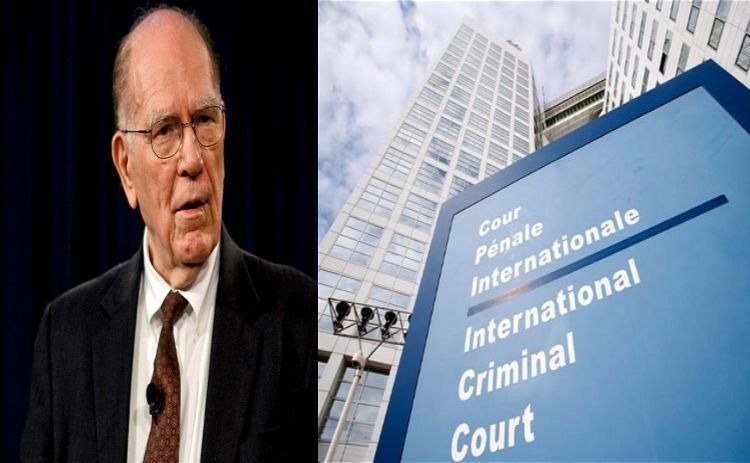 It seems President Rodrigo Duterte had acted in good faith of the Filipinos when he withdrew the country’s membership from the International Criminal Court (ICC) as an article on Larouche Pac written by Lyndon LaRouche, an American political activist and a Presidential candidate from 1976 to 2004 reveals the possible downsides to the ICC, one more adverse than if Philippines remained a part of it. In the article of Larouche Pac, it discussed that the whole ICC is financed by George Soros, Lord Mark Malloch-Nrown, and Mutt and Jeff Bobsey twins. Soros is controversial for being “more Nazi than the Nazi”, his early background reveals him to be highly deceptive having taken a non-Jewish identity to evade persecution, retained a Nazi bodyguard, and looted through bribes and threats the poor Jewish Hungarians who were fearful of the Nazis that time. This continued on until the ICC became nothing more than just “an instrument of British Imperialism” that exploits on those who cannot hold up their economic conditions. In the Larouche article, it detailed how the ICC was specifically designed by the British Empire to keep in unanswerable to anyone whilst being funded by the notorious Soros through his charities and organization. The ICC explicitly reveals that it is not a member of the United Nations or of its system, rather, it fall more adequately under the Coalition for an International Criminal Court (CICC) which is also created by Soros and the British Empire. Within this seeminlgy futile state within the ICC, it seems only wise that Duterte pulls himself out of the equation and save the Philippines the mess of having to deal with frugal and selective foreigners. As the ICC continues to pursue imperialism in whatever falsely humanitarian or sincere way, the Larouch article seeks to call upon better immunity from the government in order for it to focus on the dangerous and emergency tasks beforehand.